Alejandro Mendieta is a Managing Partner of Coastal Wealth, a member of the MassMutual Financial Group. Leading one of the largest financial services firms in Florida, Alejandro serves his team of advisors and clients through holistic financial planning, custom tailored insurance solutions, disciplined investment strategies, and proactive personal service. For years, Alejandro has been asked to share his insights and formulas for growing an exceptional holistic practice with leading financial professionals across the country. 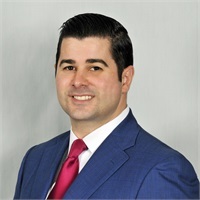 In 2015, Alejandro was hired to lead Metlife Premier Client Group of Florida in Coral Gables, and by 2016, with the acquisition of Metlife Premier Client Group by MassMutual, was chosen to lead Coastal Wealth in Miami-Dade county. Alejandro’s proven track record has led him to become one of the top-ranked registered representatives in the country for firms like LPL Financial, Metlife Premier Client Group, and MassMutual Financial Group. He has also received countless other accolades, including most recently the 2017 Managing Director of the Year Award and recognized as the 2017 Top Overall Financial Advisor and Financial Planner by Coastal Wealth. He is one of the most celebrated and respected financial professionals and executives in his community — and is a sought-after leader, speaker, and financial planner. He also recognizes the importance of serving others. Alejandro leads the Board of Trustees for the Leukemia and Lymphoma Society Southern Florida Chapter in Miami and in 2013, was chosen as the Miami Man of the Year. In 2017, Alejandro was named the Leukemia and Lymphoma Society’s Philanthropist of the Year. Alejandro has committed his talent and time as board member of the Center for Financial Training (CFT), Southeastern, and as a Training Provider of the American Bankers Association. He is a founding board member for CARE Elementary School in the Overtown community of Miami, helping to engage children, youth, and adults with life-changing educational opportunities. Alejandro was a finalist for the Inaugural Presidential Leadership Scholars (PLS) Program. The PLS program is designed for leaders from diverse backgrounds who share a commitment to facing society’s greatest challenges. The program allows participants from a variety of sectors to learn from former U.S. presidents, key administration officials, respected presidential scholars, leading academics and each other. Alejandro enjoys spending time with his wife, Evelyn, and his two amazing boys, Alejandro and Nicholas. He appreciates the privilege of serving his church, community and clients.